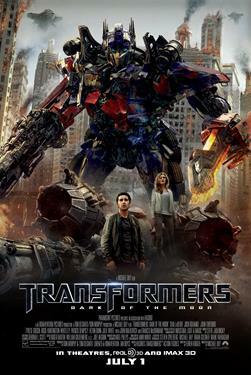 Shia LaBeouf returns as Sam Witwicky in Transformers: Dark of the Moon. When a mysterious event from Earth’s past erupts into the present day it threatens to bring a war to Earth so big that the Transformers alone will not be able to save us. Transformers: Dark of the Moon release will be digitally re-mastered into the image and sound quality of The IMAX Experience® with proprietary IMAX DMR® (Digital Re-mastering) technology. The crystal-clear images coupled with IMAX’s customized theatre geometry and powerful digital audio create a unique environment that will make audiences feel as if they are in the movie. Coming to select Cineplex IMAX locations: Scotiabank Toronto; Colossus Vaughan; Scotiabank Montreal; Scotiabank Chinook and Scotiabank West Edmonton Mall and SilverCity Polo Park.